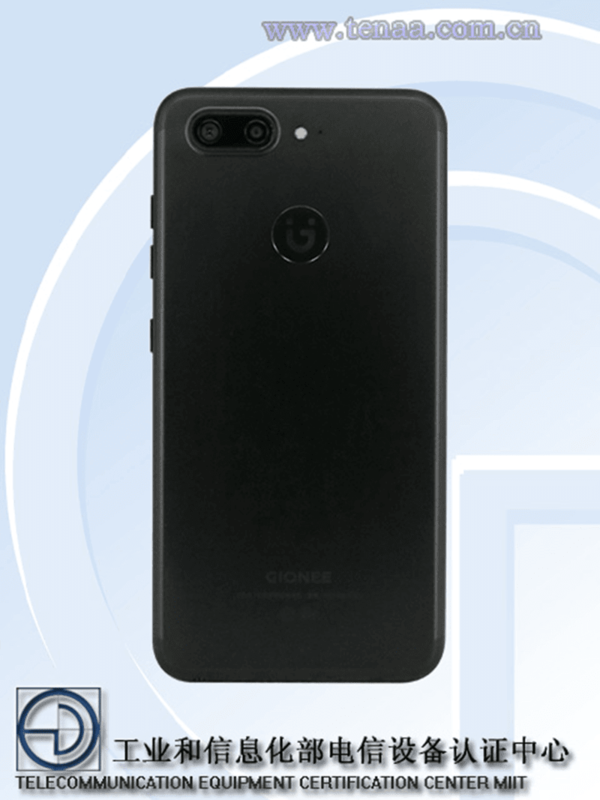 At TENNA certification in China, renders and specs of the upcoming of the upcoming Gionee S10 Plus with a rare quad camera setup was partially revealed. The Gionee S10 Plus will be equipped with a 5.5 inch full HD display (1920 x 1080 resolution at 401 ppi) and an unnamed 64 bit octa core processor with a high clock speed of 2.5 GHz. It'll be paired with 4 GB of RAM, 64 GB of expandable (up to 128 GB) built in internal storage, and ample 3,450 mAh of battery capacity. Going to the highlight, Gionee has put a 16 MP + 8 MP shooter behind and an 20 MP + 8 MP shooter in front. We still don't know what will be its implementation. We're expecting it to have either wide angle, zoom, or bokeh, and even monochrome feature. Completing the specs, the Gionee S10 Plus will have LTE, and fingerprint scanner in front. It'll boot with Android 7.0 Nougat OS out of the box. It'll be available in gold and black colors, measure at 155 x 76.8 x 7.5 mm, and weigh at 178 g.
There's no mention on how much will it cost and when will it be available.